Biography: The Mission of Sacrifice began in 1995 and teaches the gospel of grace in the village of Gajjanapudi and the surrounding remote areas. The church focus is caring for the physical and educational needs of the youth and children while encouraging them in faith in Christ. 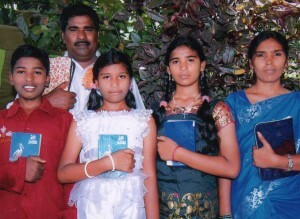 The church also cares for widows and orphans while preaching in unreached areas, which includes tribal and Hindu groups. The church has many cell groups along with a nursery, children's, and youth ministries. Strengths: Satyanarayana is gifted in preaching and singing.